The bathroom in the Pink Paradise (1972 Frolic) was in horrible shape and it has required (almost) a complete tear out and rebuild. 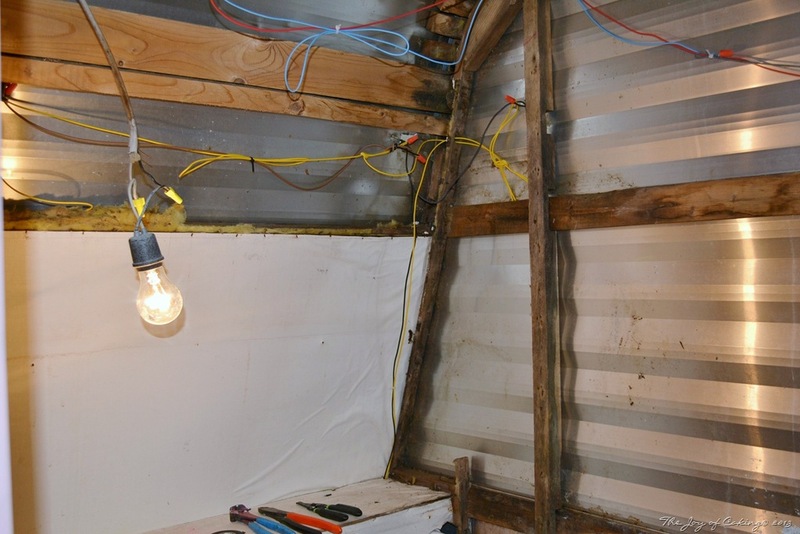 It needed some new studs, insulation, wallboard, plumbing, and electrical work. Some of which we are still in progress of finishing. But in the meantime, I thought I’d give you a little glimpse of before and during. Frolic bathroom (above) before cleaning. Frolic bathroom (above) after cleaning. Frolic bathroom (above) during tear out. 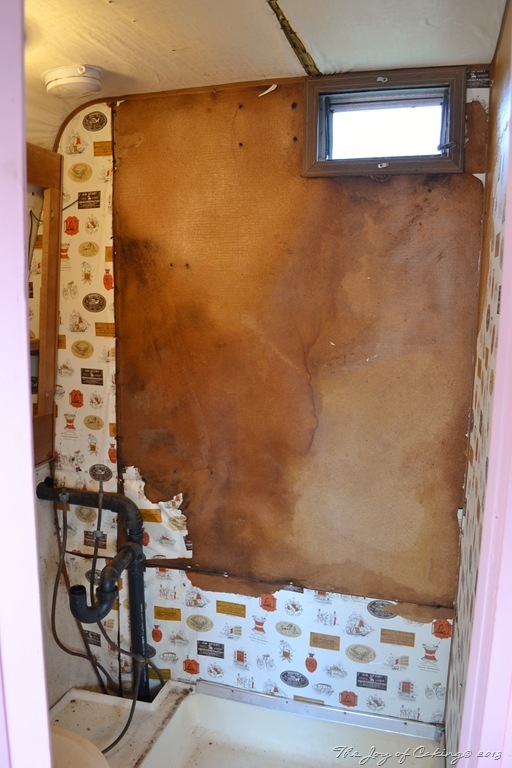 Frolic bathroom (above) after tear out. 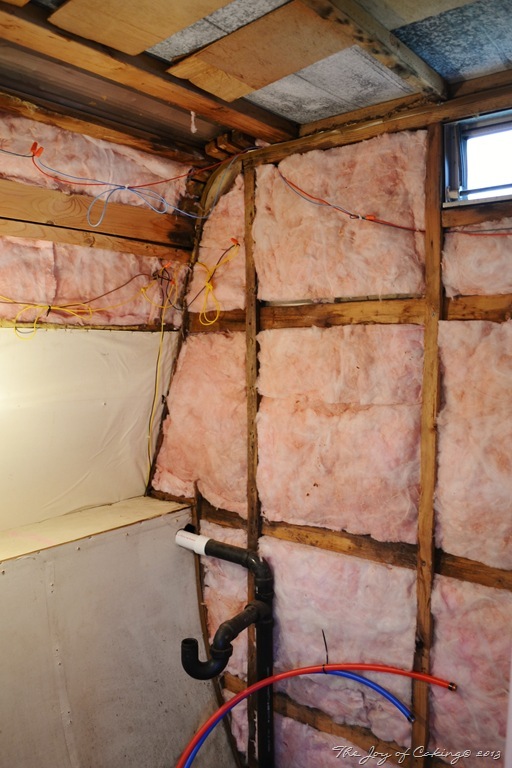 Frolic bathroom (above) with new insulation. 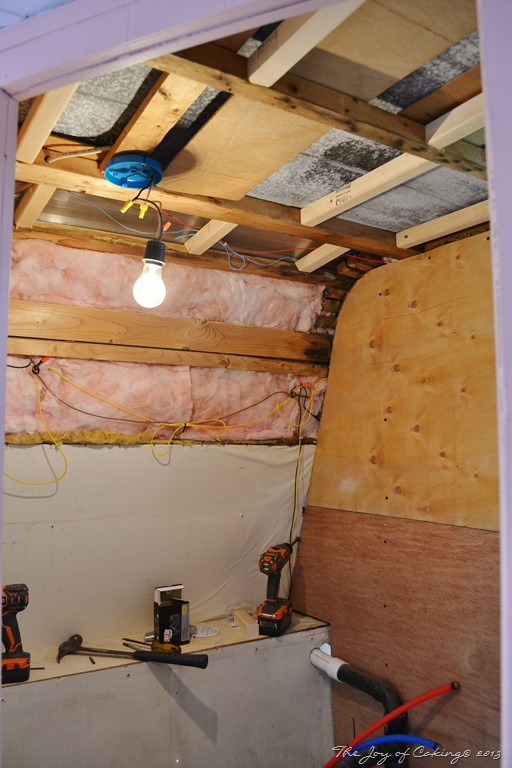 Frolic bathroom (above) with new studs, Luan plywood, electrical work, and insulation. Working in there hasn’t been what I’d call a real joy either. For starters, it was so dirty and nasty that I was initially leery about going in there to clean it. Yes, that bad! We’ve since been faced with the dilemma of what kind of materials use in it too. 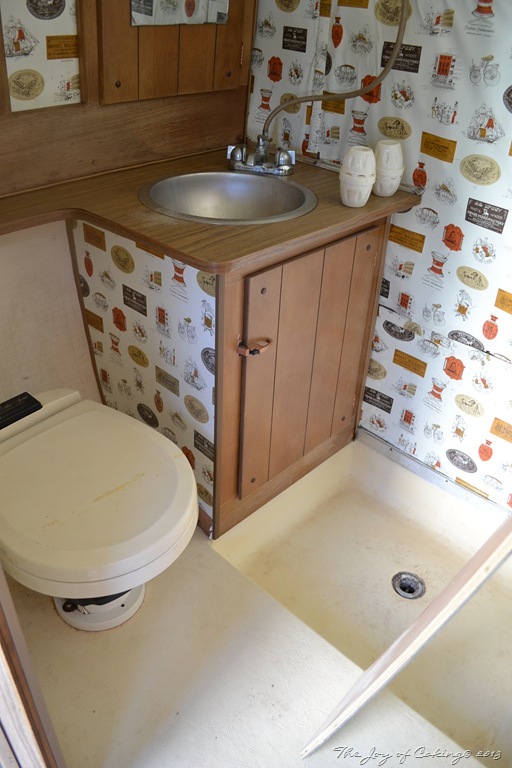 There are very limited choices of building materials available for use in a camper where there will be a functioning shower in use in a very small space. 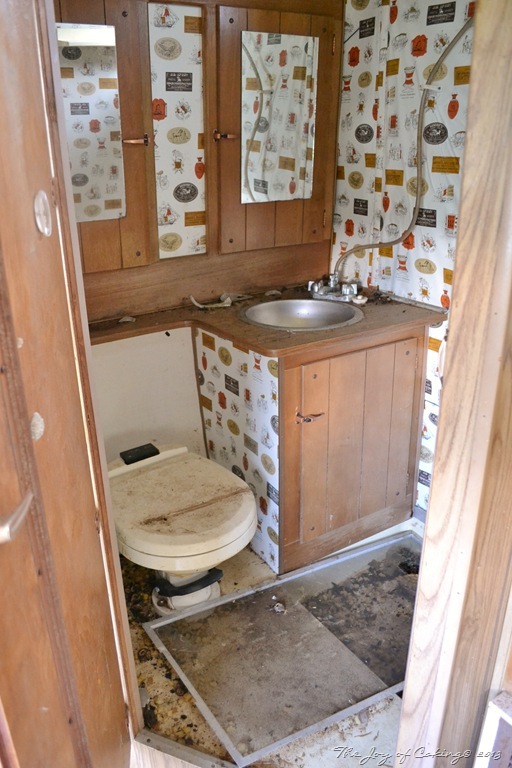 No nice fiberglass shower kits to choose from… And while we did think about using tile and grout, we decided against it since the camper will be moving and shifting as it is pulled down the road. Originally, I thought we were going to end up using a waterproof white plastic wallboard that I felt was quite utilitarian looking and I wasn’t particularly excited about. Instead, we have spent some time looking for another option – which we’ve found and I’m very happy with. As soon as the bathroom is finished I’ll be posting pictures of it, and won’t you be surprised! I can’t wait to see the finished product! These remodeling projects can seem so daunting. It is going to be great to have the before and after pics! Thank you for sharing! I’m amazed every time I see an update 🙂 You are so clever! I’m fascinated with the old wallpaper with the bikes & ships. Very retro cool. I’m loving the camper updates. Can’t wait to see the finished project! You have done an amazing job! Thanks for all of the pictures. I can’t wait to see what it turns out to be!!! Our Clyde is too small for a bathroom, so I’m incredibly jealous! Update soon!! I can’t wait to see the finish. I love these old trailers and I have seen some beautiful restores. I’m excited to get it finished too! It’s taken a little longer than I initially expected. I’m already thinking about my next project – lol!